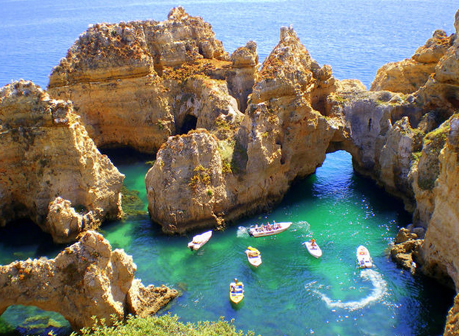 Ponta da Piedade, Lagos´ number 1 attraction, is a stunning section of coastline, consisting of caves, grottos and sea arches that nature has sculpted over thousands of years. 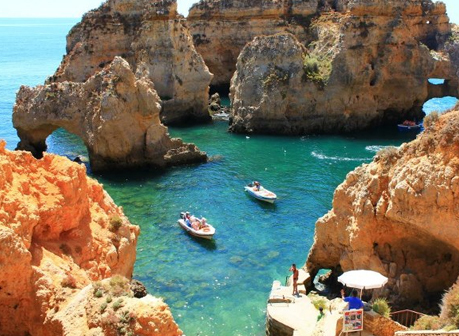 Its 20 meter high cliffs, which shine golden in the afternoon sun, and fairytale caves are a must see. 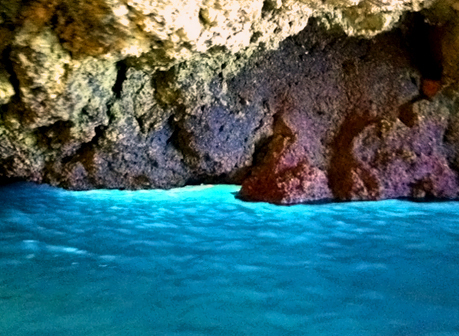 You can discover the area in small boats, or even better by kayak, so that you can venture into the caves. 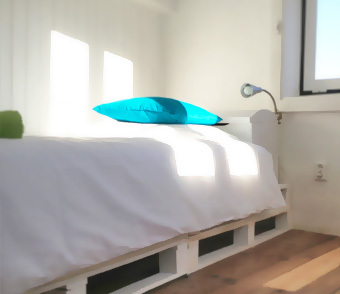 Or if you are a good swimmer, take a tour through the water! 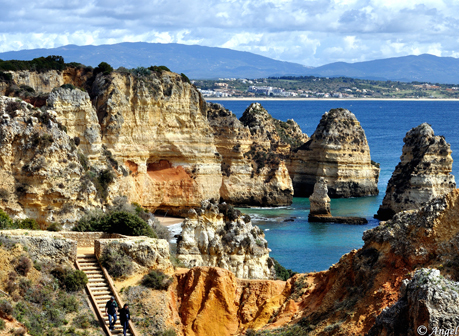 You can also take a cliff walk from town to the point – where sits the lighthouse, Farol da Ponta da Piedade. 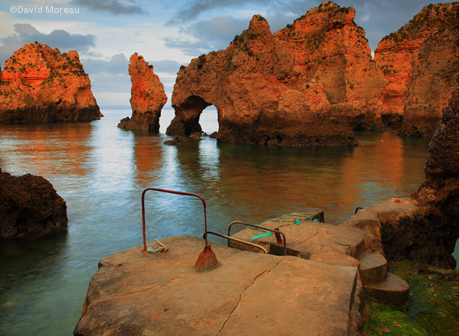 Behind the lighthouse you find a stairway and some paths down into Ponta da Piedade. 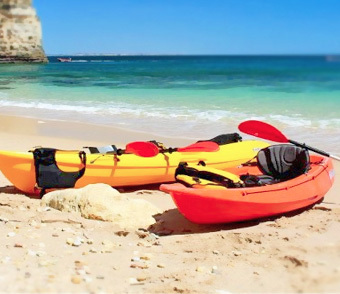 – KayakTours take 2hr guided trips and know where all hidden treasures are. 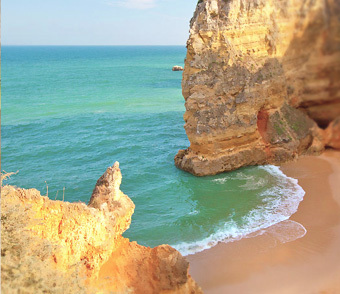 The trips depart from Praia da Batata.